His big hit “You were on my mind”. Sang at the Olympia. 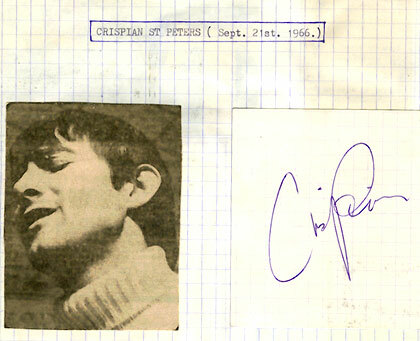 This entry was posted in Crispian St Peters, From England. Bookmark the permalink.